Hush has become one of those films to come out of nowhere and quickly garner a lot of praise from movie lovers of all walks of life. The film was written by director Mike Flanagan and lead actress Kate Siegel for Intrepid Pictures. 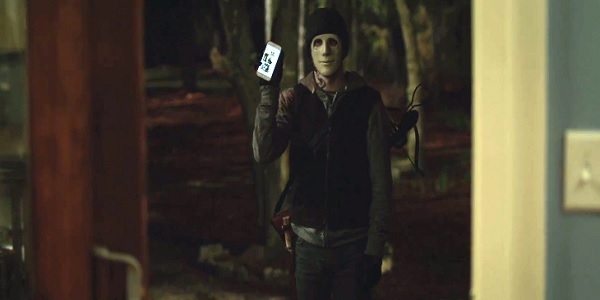 The product was eventually released through Blumhouse Productions, and found its way to Netflix, where most of the attention and praise has been generated. And, really, the concept of a deaf woman being hunted in her own home is one worthy of it, leaving lots of potential a top psychological thriller in 2016. But does Hush actually live up to those expectations, or is all its success stemming from the critical hype? The whole point of the film is that Maddie (Kate Siegel) suffered an illness at the age of thirteen that not only left her deaf, but also paralyzed her vocal chords. Why this is necessary to the story is confusing given there’s little need for it at all. But, she eventually found herself living isolated from society either following a break-up with assumed now ex-boyfriend Craig (or prior to it, there’s no real reason given other than “I didn’t find isolation, isolation found me”) with only one neighboring house belonging to John (Michael Trucco) and Sarah (Samantha Sloyan). One night, a man (John Gallagher Jr.) begins tormenting Maddie, learning right away she cannot hear him, and decides to have fun before outright killing her. It’s just a variant of your typical stalking slasher villain, a game of cat-and-mouse with a few extra medical conditions thrown in for the sake of tension. Sadly, it rarely feels like the film actually takes full advantage of them. Early on we’re pretty much force-fed the narrative about Maddie’s history, both in dialogue and a quick shot of her biography on the back of her debut novel that the camera felt the need to linger on for no real reason at all. This is again enforced the way the man learns about this, leaving you to expect him to torment her by moving about her house freely. Instead, he winds up getting locked out shortly after sending photos of her from inside the house, leaving the viewer to watch as he hunts from the outside even though he could probably get in pretty easily, even by his own admission. So, for most of the film, this unknown individual does nothing more than taunt and talk to her from behind a window to freak Maddie out. And, well, beyond the first thirty minutes, this film simply plods along. One of the aspects of the story is that Maddie can’t figure out how to end her novel and jokes about her being a failure as a writer. Hush actually plays on this idea towards the end, even offering up a rage inducing false ending and inner dialogue within Maddie as she describes ways to escape and how they would fail with a reflection in a window that talks back to her. It’s this weird meta approach as the character’s sanity starts to break down and we get a first hand glimpse at the inner workings of her mind that not only destroys the ending, but also pulls the viewer out of the film entirely. Yes, we all reason things out mentally but witnessing it like this presents it more like the angel and devil on our shoulders we often see in cartoons. What once was a portal to another world if you’re able to shake off reality immediately becomes something fake and scripted, not to mention robs the viewer of any surprise resolution by literally showing their hand before playing the cards dealt. Even the acting was mediocre. Granted there wasn’t much to express by the rest of the cast, but John Gallagher Jr as the nameless man appeared to be a very flat individual. The whole point of his character was to take delight in tormenting Maddie, but there was very little to hint towards him actually caring, let alone enjoying himself. If anything, he just seemed uninterested in anything until something like a light in the distance or someone stops by. 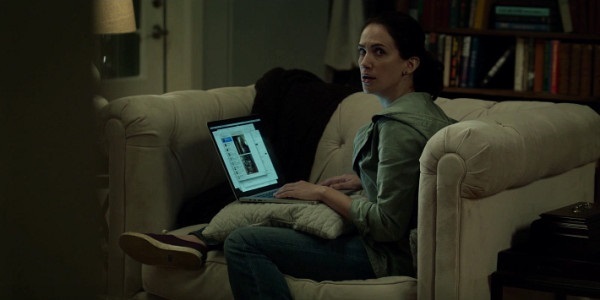 Sadly, Kate Siegel is guilty of this too. Half the injuries are played off equal to that of a WWE wrestler either trying too hard or no-selling being hurt. At one point her hand gets crushed by the man, only to suddenly stop rolling around, pull off a seductive facial expression meant to be intimidating, and barely flinch when writing the aforementioned word on the glass door with her own blood from an injury that had occurred not too long ago. Again, this only makes the cast seem like characters, and not human beings. 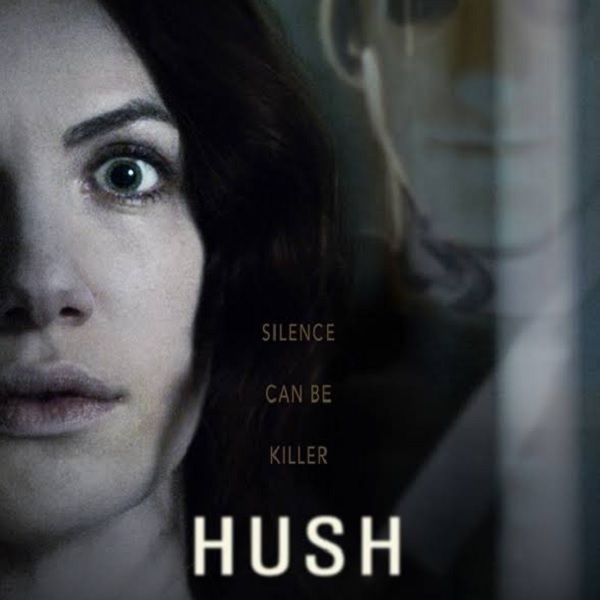 Hush is garnering a lot of praise from critics and fans alike, even having a one-hundred percent score on Rotten Tomatoes at the time of writing this review (something I didn’t know going into it, mind you). Sadly, this all just seems to just be hype. If anything, Hush is one hell of a missed opportunity to really take advantage of the main character’s deafness, stalking her from inside the building and moving things around to mess with her at the very least, both of which don’t happen, nor are even given a chance to. Instead we’re left with your generic Halloween inspired “killer outside” flick sans suspense with two medical conditions tacked on. Even the addition of Maddie’s paralyzed vocal chords just feels like overkill that exists for the sake of one final overly predictable line of dialogue. This feature takes its time, plodding along at a slower pace than necessary to make you wait for the next bout of tension, most of which you see coming miles ahead of its execution, all to end with a near fourth wall breaking inner conflict/analysis of the situation that pulls you out of what little interest you might have invested in this devastatingly dull flick.